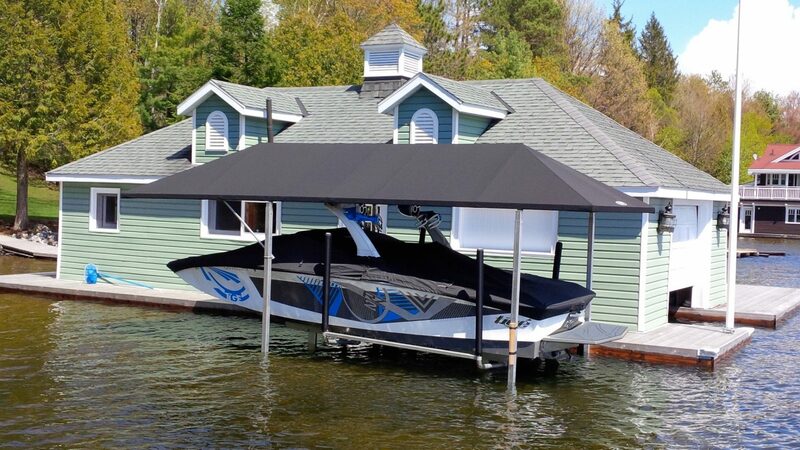 NO BOATHOUSE? 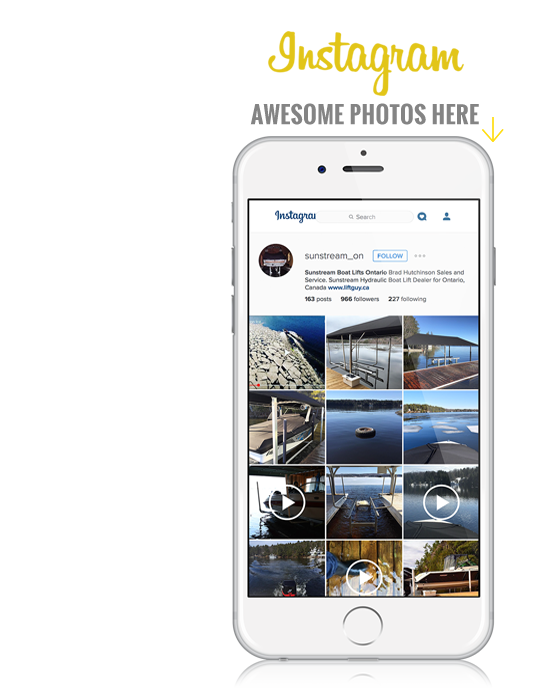 WE GOT YOU COVERED. 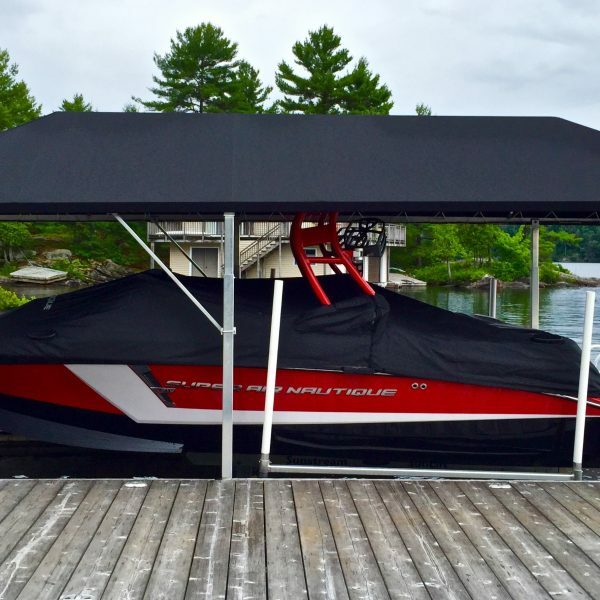 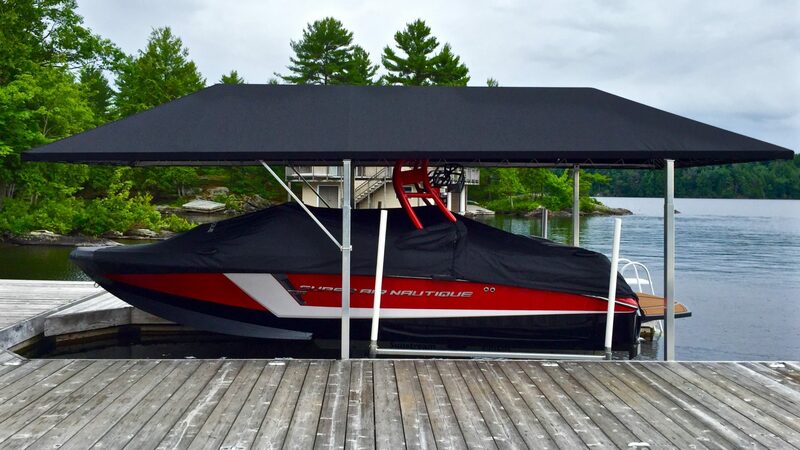 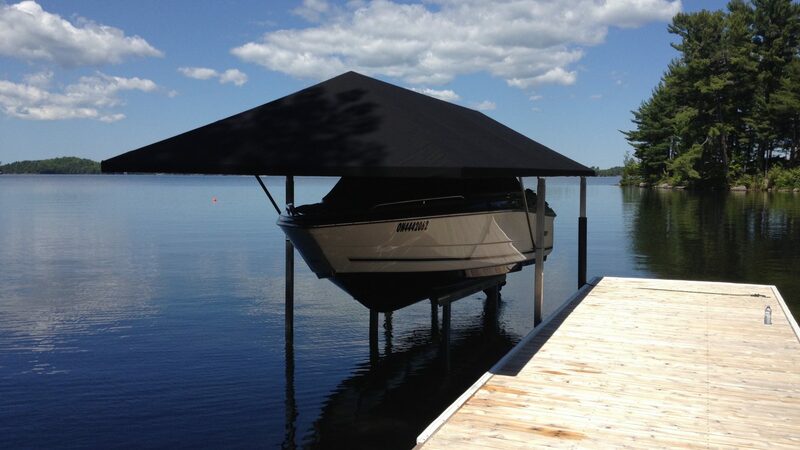 Don’t subject your boat to rain and harmful UV rays and forget struggling with your boat’s cover every night. 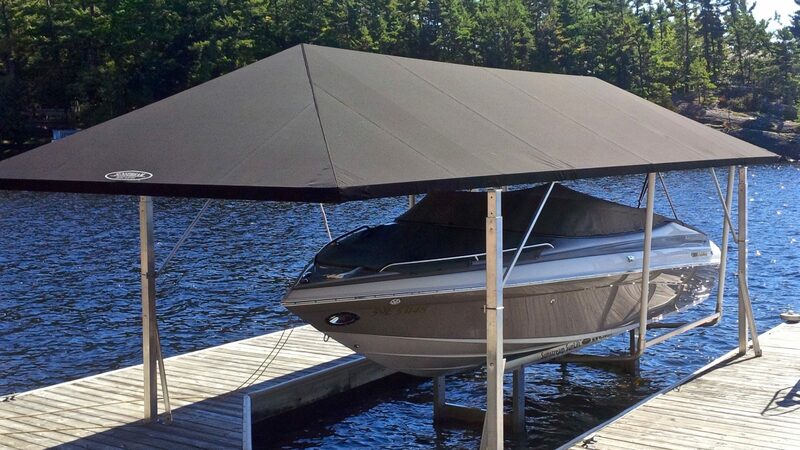 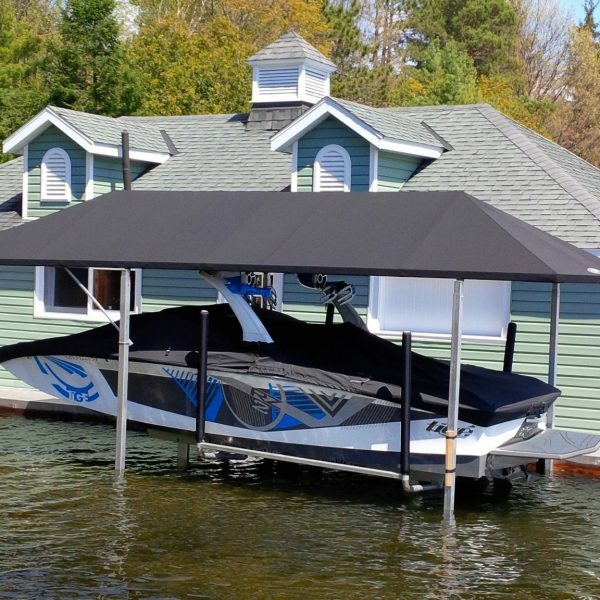 Add a Sunstream Canopy to your Sunlift and you’ve got the ultimate package to keep your boat in showroom condition. 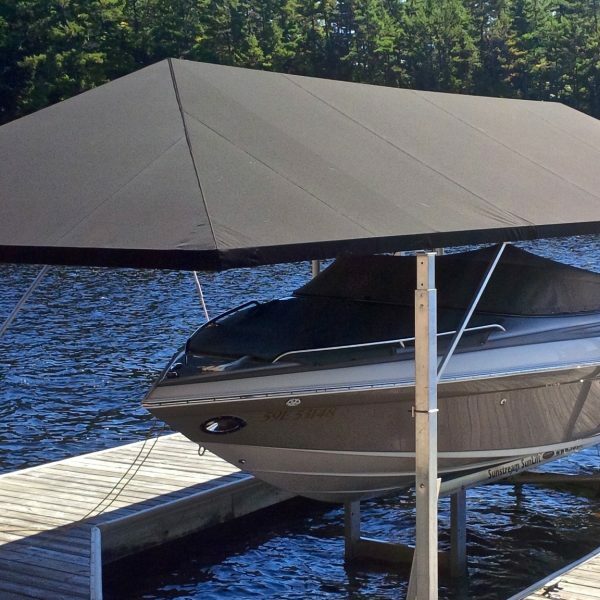 With an extremely durable all aluminum frame and sunbrella fabric, a Sunstream Canopy will last for decades. 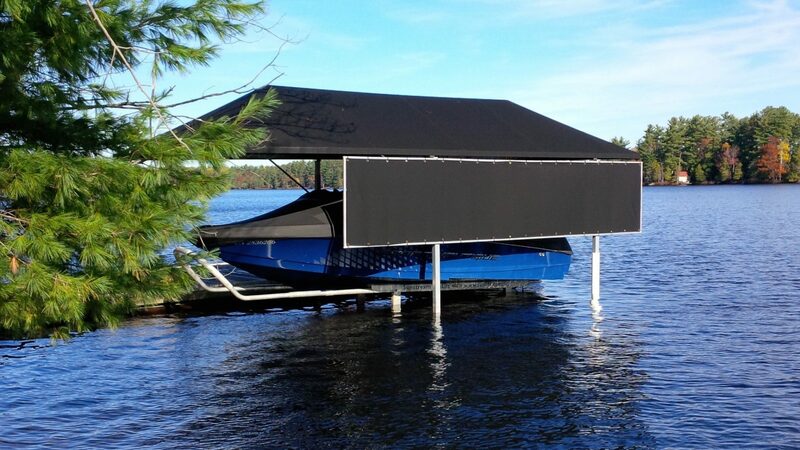 Lengths from 22ft to 42ft. 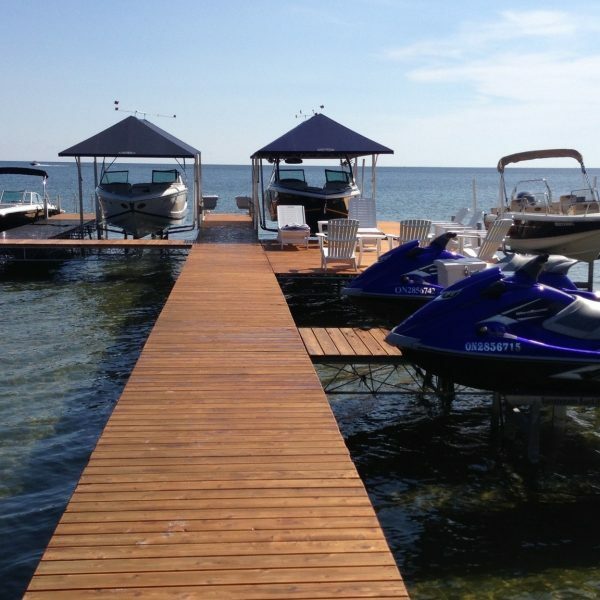 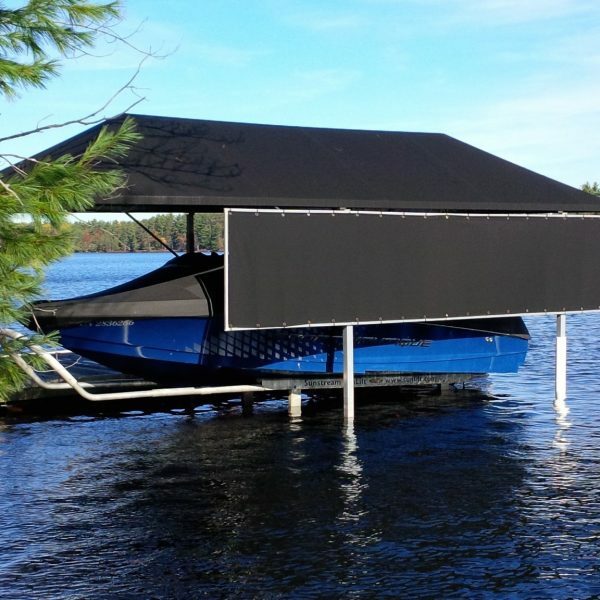 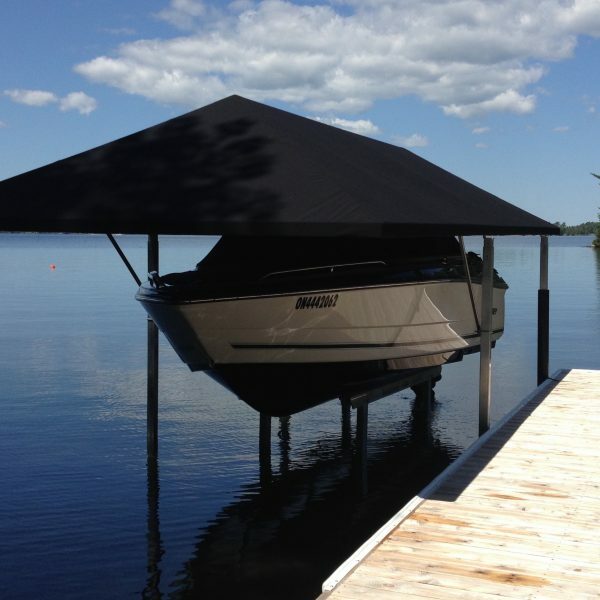 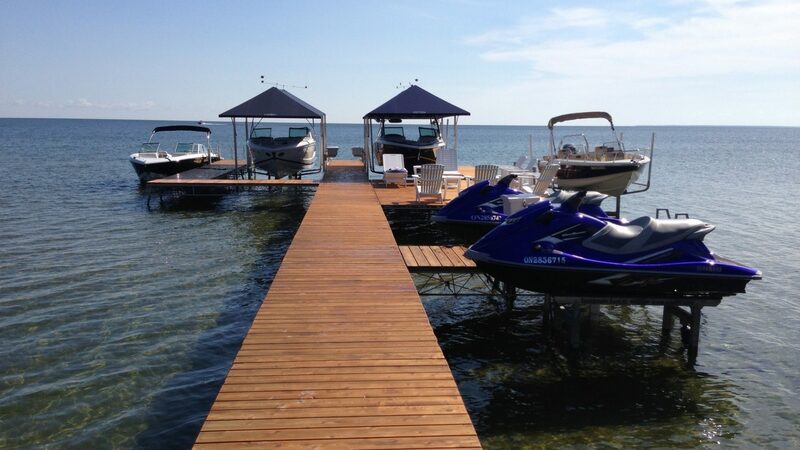 The canopy system can be dock mounted or lift mounted and height is adjustable.